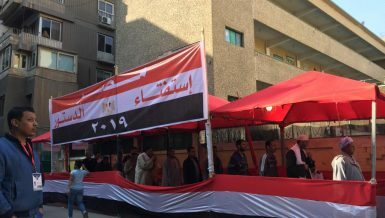 Strong Egypt is a new kind of political party, and on Wednesday it sought to make its presence official. Registration approval is expected from the Supreme Court’s party affairs committee, in the next seven to 10 days. It was a festive atmosphere on 26 July street, with crowds of young people dancing and releasing orange and white balloons – the colours of the new party. 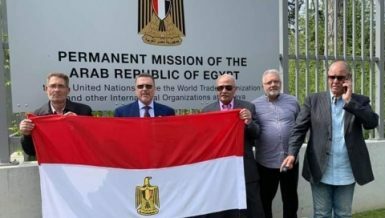 The centre of the attention was Abdel Moneim Abul Fotouh, expelled Muslim Brotherhood leader and fourth place runner-up in this summer’s presidential election. 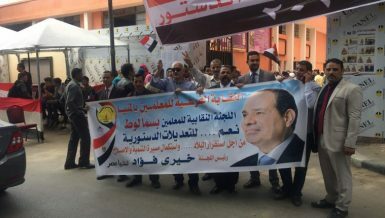 Some from Abul Fotouh’s campaign established Strong Egypt party in July. They have registered in order to compete in municipal, parliamentary, and presidential elections. 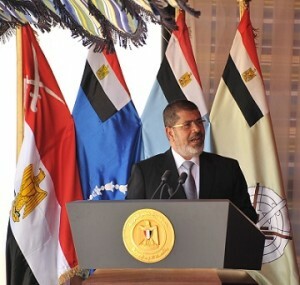 Strong Egypt does not intend to play politics as usual. In fact they do not even have party secretaries yet. They envision a party run from the bottom up, which more truly represents its constituents. 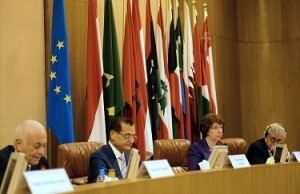 Instead of a group of founders assigning themselves positions in the party, Strong Egypt has a preparatory committee. This is an amorphous organisation with no positions assigned. It brought the party into being, and now intends to hand it over to the people. 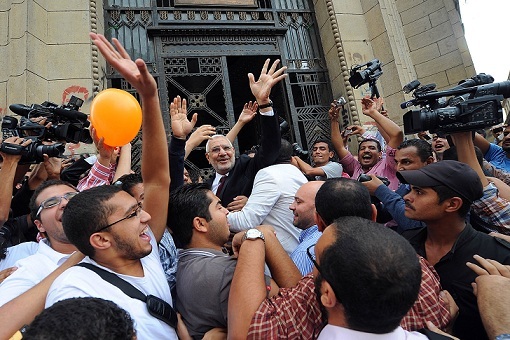 Abul Fotouh is currently caretaker party president, but elections this Friday will create a party governing body. 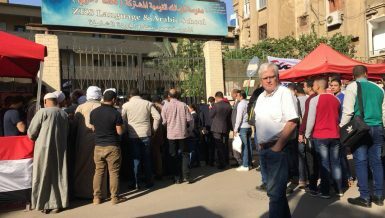 All 8,500 Egyptians registered with Strong Egypt will vote representatives in their governorate to a supreme committee. This committee will manage of the party and hold a general conference, where a president will be elected. 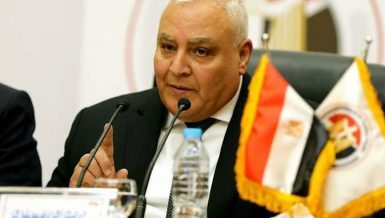 Ahmed Samir, from Strong Egypt’s media committee, said the government must work harder to find evidence against those who killed protesters and abused power before and after the revolution. Otherwise, the perpetrators will continue to get off the hook. “In countries that have successfully transitioned to democracy, legal regimes were put in place to guarantee transitional justice. 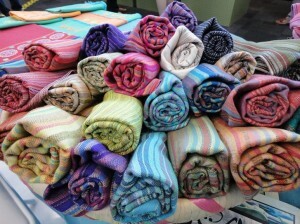 We need to adopt this,” said Samir. This is important for a party whose poster-boy, Abul Fotouh, was criticised during the presidential campaigns for passing up an opportunity to cooperate with Nasserist candidate, Hamdeen Sabahy. “Abul Fatouh did not refuse cooperation,” said Rabie, “the general atmosphere was perverted at the time. Cooperation was disrupted by those who would benefit from keeping them apart.” He stopped short of saying who this invisible hand may have belonged to. Abul Fotouh is also called a closet-Islamist, based on his decades-long involvement in the Muslim Brotherhood, even serving on its guidance bureau. Strong Egypt chose a sun as its symbol, with neat orange rays splaying from the centre. At the end of some rays are symbols of Egyptian society, such as a flag, a wrench, and the scales of justice. It has been laughed at for being overly chaotic, but perhaps this is appropriate for a more democratic, decentralised party.